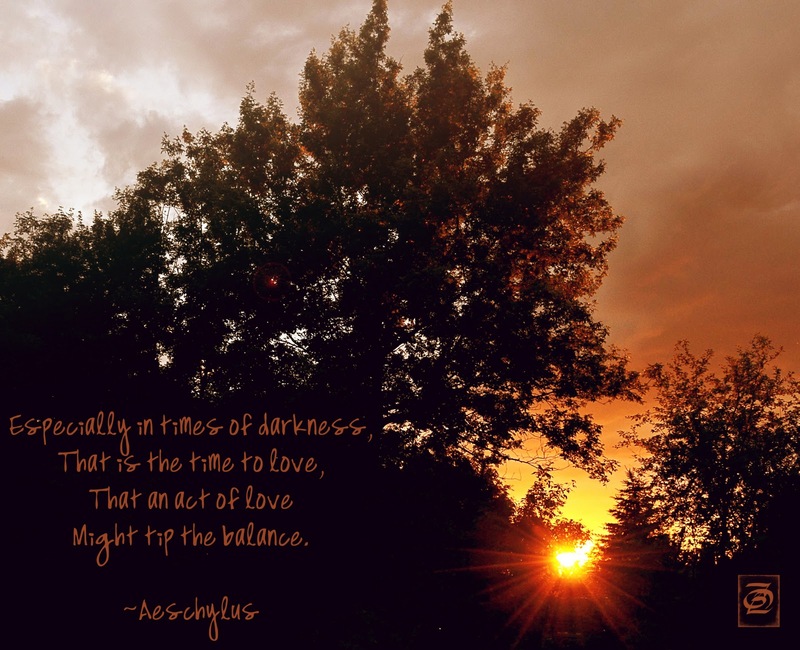 Original Art Studio: "... this is the time to love ..."
"... this is the time to love ..."
This is a great quotation to keep in mind/heart/spirit when times are dark on a personal, local and global level. While resourses can dwindle, the love in our hearts can ever expand and be demonstrated by simple acts of kindness. We always have it in our power to 'tip the balance'. I so agree with this, Bonnie. It is incredibly difficult to engage in acts of love or kindness when one is mired in personal despair. Ironically, however, it is through love and kindness that we are able to get outside of ourselves and be relieved of our despair. Excellent message! And that Channing quote- has it always been there? How perfect! Amen and amen!! Great words of advice!! Indeed, I am living proof of tipped balances leaning in my favor - and yes, it feels like love :) What a glorious shot- really just perfect. Love: the more you spend the more you have. And receive, which is nice too. Yes! And we must remember to extend that love to ourselves as well. It makes loving others and doing acts of kindness for another second nature. An appropriate image and quotation for these long winter nights. Happy New Year! A beautiful quote, and an equally beautiful image Bonnie! A perfect marriage of quote and image. Nicely done, Bonnie.